We are so excited to team up with some of our favorite blogs to bring you a fabulous giveaway! Who doesn’t love winning, and who doesn’t love the Holidays? Here it is, all wrapped up in one sweet little package! 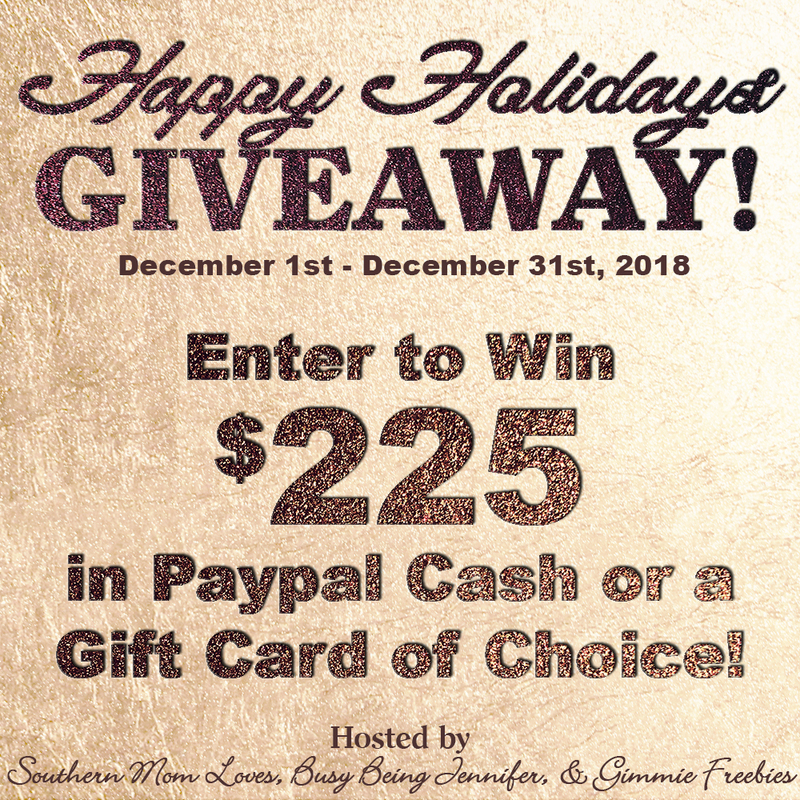 Welcome to the $225 Happy Holidays Giveaway! The winner can choose from Paypal cash, which can be used just about anywhere or transferred to your bank account, or an egift card. Just about any store is up for the egift card; If I can purchase it online and have it emailed to you, you can choose that store for your gift card! Enter through the widget below and good luck! Amazon, Target, Sephora, Starbucks, Best Buy…which gift card will you choose? One winner will receive $225 via Paypal cash or an eGift Card of choice! Giveaway begins on 12/01/18 at 1:00 am CST and ends on 12/31/18 at 11:59 pm CST. Must be 18 years or older, open Worldwide (void where prohibited.) Once winners are confirmed, they will be added to the Winner’s List here. Remember to bookmark this page and come back for all of the daily entries!